Life is a series of moments. Every moment is gone as quickly as it occurs. Neurologically, the moment you perceive as “now” is actually fractions of seconds in the past. Your perception of the present moment extends further into the past through the contextualization of memories and instinct. By the time you are cognitively aware of what is happening, your mind has already analyzed, categorized, and organized your experience. Our minds are bound by our biology and our perception of time. However, there is power within the boundaries of our perception of time. We can harness the metaphysics of perception to free our minds from dwelling on the loss of the past and from a future limited to routine and repetition. Last month, on Groundhog Day, I wrote about time and growth and my opinion that one should “never do nothing”. Consider the impact of the intention and focus I wrote about in that article. That intention and focus can be applied not only on growth and self-definition, but also into the perception and experience of time. 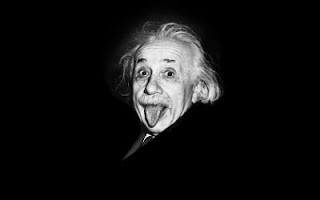 Albert Einstein colloquially explained our perception of time and relativity by saying, “When you are courting a nice girl an hour seems like a second. When you sit on a red-hot cinder a second seems like an hour. That's relativity.” The reality of relativity is proven within physics. The reality of relativity within perception can be altered within our minds. If you find yourself lost in a whirlwind of life, where every day speeds by you, try observing the details surrounding yourself and especially the details of the experience you wish to treasure. If your treasured moment is the one described by Einstein, acknowledge and intentionally remember every detail of that girl’s face. Pay attention to the way her lips move as she speaks, watch her eyes as you listen and respond, observe the way her hair and skin move in the wind or appear in the light. Make every moment an eternity of memory. If you find yourself bound in boredom or suffering, feeling every second arduously pass within your mind, consider “zoning out”. Release your mind from the constraint of what’s at hand. If your suffering is the suffering described by Einstein, look into the distance (literally or in your mind), detach yourself from the feelings and pain of each moment. Perhaps allow yourself the space to think of your small consequence in the whole of human existence and time’s passing. Find a thought which quickens time’s passing, such as a familiar song, a memory of a slow movie scene, or the slow rolling of waves on to a beach. Despite today being the equinox, all of time is not equal. Our minds are our perception. The power of thought allows us the power over perception and, therefore, experience. I opened this article with the rousing words of Jason Silva on the power of the present moment. You can use intention and focus to embrace that power and free your mind from the boundaries of the past and future. It all begins (and ends) within your mind.